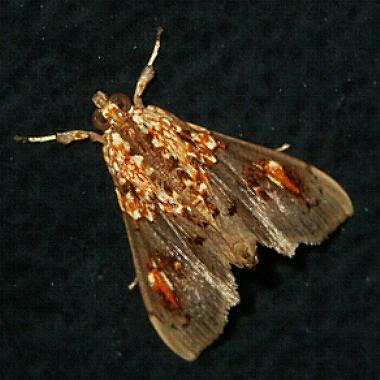 The adult moth has brown wings, with a patch of red and white markings at the base of each wing, and in the middle of each forewing. The wingspan is about 2.5 cms. 1898 (part 1), pp. 629-630, No. 10.